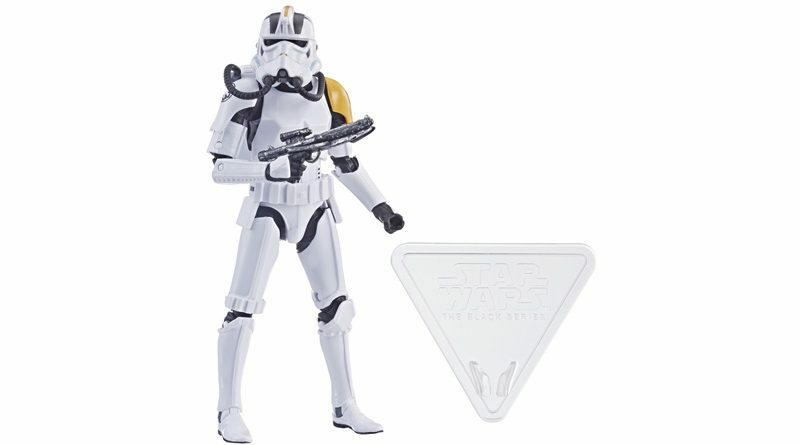 GameStop’s exclusive Black Series Imperial Jumptrooper is available for pre-order on their website. 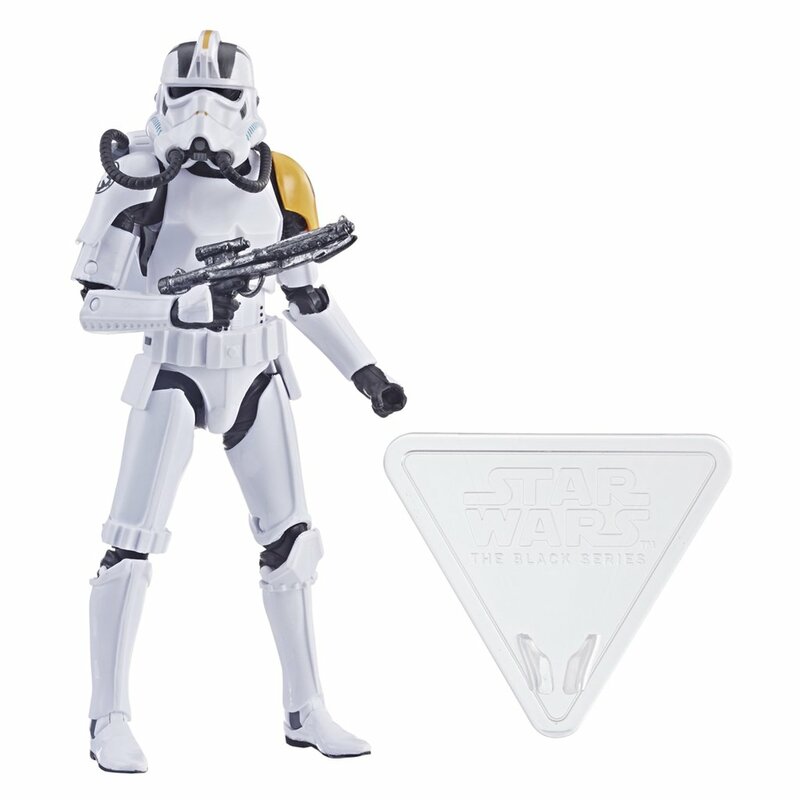 The Jumptrooper is $22.99 and should also be available in stores later in the Spring. Orders placed online now are scheduled for a March 15th release date. The Jumptrooper includes a new stand that Hasbro debuted during their NYCC presentation last October. The new stands use a wedge to hold the figure’s foot instead of the standard peg we’ve seen in previous stands (both 6″ and 3.75″ scale) and will allow for some action poses that may not have been possible previously.